A very common requirement for our customers is the possibility to create some rules based on the values stores in the contact’s facets. To do that, Adam Conn have create two modules who work in combinations: the Sitecore Adaptive Rules and the Sitecore Contact Utilities. Watch out the two following videos to know how those two modules works: Sitecore Adaptive Rules, Sitecore Contact Utilities. Correcting some bugs. For example, if you have twice the same values in two different facets it can mix both values in the facet. Improving the performances: The Adam Conn implementation was based on the IDTables for caching but this implementation was very slow when you have like 30+ facets. So I have refactor the code to be able to plug your own provider and I propose a “In memory provider” by default. Trust me this makes a lot of differences in term of performances! List management: the Adam Conn rules are only available for renderings personalization. But I also needed the same system to segment the contact lists. So I have adapted the code to be able to make this segmentation. This was really a huge work because when you personalize a component you just receive a single contact and return true a false as result of the rule. But, when you want to play with segmentation rule, you need to return a lambda who will be executed on the indexing provider (Lucene, Azure Search or Solr). I have worked for months on this module so I will be glad if it can help your customers too and help the community! I want to thank again Adam Conn for you amazing job on it too. I have done a pull request on the original repository too so if you read it do not hesitate to merge it with yours if you want to! Today I have released a neew tool to be able to debug your live website by executing all the code you want easilly. Who never had an incomprehensible error in a sitecore website in production and want o be able to execute a line of code IN THE CONTEXT OF YOUR SITE. In Sitecore 8.2.6 and later, you could have a message like: System.FormatException: Unrecognized Guid format. Actual value: ---> System.FormatException: Unrecognized Guid format when you try to use the link database. Write-Host "Error on item: $($item.ID). Field: $($field.Name). Path: $($item.Paths.FullPath). Language: $($item.Language.Name). Value: $($field.Value)"
Write-Host "Cannot fix it automatically..."
The log4net version included in Sitecore doesn't contains the stacktrace. That mean that you cannot use %stacktrace or %stacktracedetail in the conversionsPattern. As a workaround, you can override the appender. I had an issue very recently: I cannot add a language in Sitcore anymore. When I tried to add it, the add language wizard was freezing without any error messages. So juste remove it from this patch during the add language process and then re-add it and the problem is fix! Problem: The fallback is disabled by default in the item:save events. Problem: The fallback is not active in the scheduled tasks. 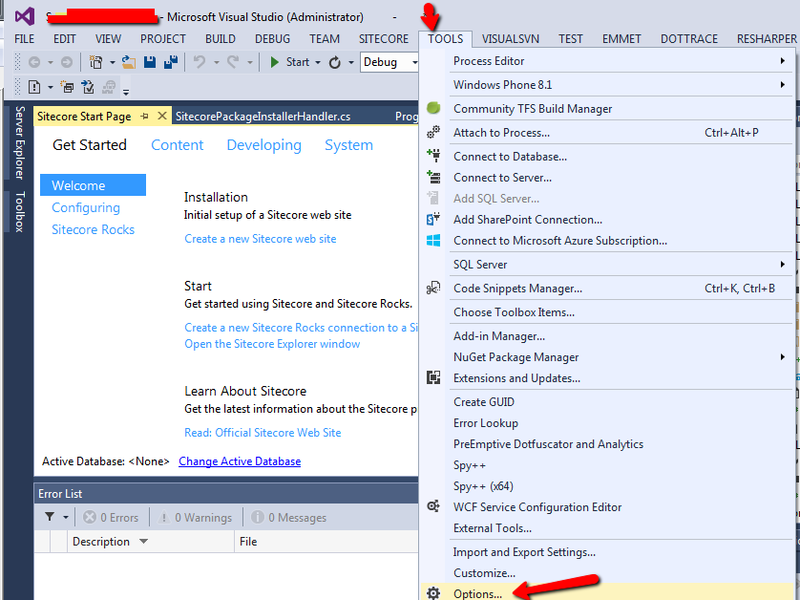 Tip: In the FieldFallback_00.config, you need to add the site 'scheduler' in the 'sites' tag. Problem: When you use the Link database to retrieve an item, you have a ItemLink (the link between the 2 objects). If you do a .GetSourceItem() on this ItemLink, the fallback is not applied. Tip: You need to retrieve this item with the standard method: db.GetItem(itemId). Problem: The ancestor fallback didn't work in the other languages. Tip: To enable the ancestor fallback on a field, you need to select the template's field and check the EnableAncestorFallback checkbox. But, be careful because this checkbox is not shared. So two solutions here: check it in every languages or change this checkbox to shared. Recently i had an issue with the standard Sitecore queries on a bucket item: when an Sitecore item begin with a 0 the queries may return no results. So, I have create a function to "sanitize" your queries before the Sitecore queries. I would like to create a collection of utils function on github with all those kind of reusable functions. 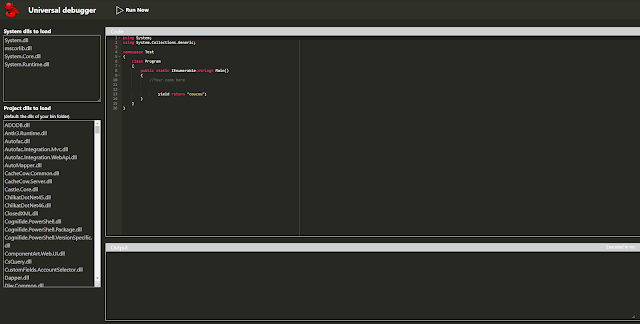 Like this you can easilly extract the functions you are interested in or the whole project. If you have functions that you would like to share in this directory you can of course propose it this could become a new collaborative repository. Today I will give you a very small trick to retrieve an item with Glass.Mapper even if the item didn't have any version in the current language. This is be helpful when you have an item with only some shared fields. Of course, the non-shared fields retrieved will be empty if you didn't have a version in the selected language. In bonus, here is the way to know if you are in a VersionCountDisabler mode in your code. This is usefull if you wrap the code with a custom method as I do. Sometimes ago I have published the PackageInstaller on github and on the marketplace. This is a useful script to install a Sitecore package in command line. One of the scenarios, I like to cover with this script is the installation of the missing packages on the different machines. This mean on each developer’s machine but also on staging and production. Install all the sitecore modules who are not installed yet. And save the list of those modules to avoid to reinstall it next time. Write-Verbose -Message "Module directory: $($modulesPathFullPath.Path)"
Write-Verbose -Message "The package installer exe is not found." Write-Verbose -Message "Extracting the zipfile"
Write-Verbose -Message "Loading the list of allready installed modules: $allreadyInstalledModulesPathFillPath"
Write-Verbose -Message "Modules allready installed: $allreadyInstalledModules"
Write-Verbose -Message "Installing the module: $($module.FullName)"
Write-Host "WhatIf : Installing the module with the parameters: $packageInstallerExe -sitecoreUrl $sitecoreUrl -sitecoreDeployFolder $sitecoreDeployFolder -packagePath $($module.FullName) -connector tds"
function(response) is the function executed when you will receive the response. MyRegistryKey.IsCollapsed is the a unique key in the registry for the user. Some times ago I had publish a series of post about the automatisation of the deployment process. In this build process I install my packages in command line. I have finally rewrite and release this tool. It is now available on the marketplace and github. This project allow you to install the Sitecore packages files in command line. It support both the .zip and .update files. You need to download and extract the PackageInstaller zip file or build the source. -p, --packagePath=PACKAGE PATH The PACKAGE PATH is the path to the package. The package must be located in a folder reachable by the web server. -u, --sitecoreUrl=SITECORE URL The SITECORE URL is the url to the root of the Sitecore server. -f, --sitecoreDeployFolder=SITECORE DEPLOY FOLDER The SITECORE DEPLOY FOLDER is the UNC path to the Sitecore web root. -c, --connector=INSTALLATON MODE The INSTALLATON MODE could be tds or sitecore. --pb, --publish Publish some items. --pbsdb, --publishSourceDb=VALUE The source database to publish from (master if ommited). Need to be use with the -publish option. --pbtdb, --publishTargetDb=VALUE The target database to publish to (web if ommited). Need to be use with the -publish option. --pbl, --publishLanguage=VALUE The language to publish (all if ommited). Need to be use with the -publish option. --pbi, --publishRootItem=VALUE The root item to publish (all if ommited). Need to be use with the -publish option. --pbm, --publishMode=VALUE The publish mode must be one of those values: Full, Incremental, SingleItem, Smart (Full if ommited). Need to be use with the -publish option. --pbt, --publishTargets=VALUE The publish target separated by a coma if multiple targets. Need to be use with the - publish option. -h, --help Show this message and exit. Sidewalk.SC.PackageInstaller.Client.exe -sitecoreUrl "http://sc72rev140228" -sitecoreDeployFolder "C:\inetpub\wwwroot\sc72rev140228\Website" -packagePath "C:\temp\TestPkg.zip" -connector "sitecore"
Sidewalk.SC.PackageInstaller.Client.exe -sitecoreUrl "http://sc72rev140228" -sitecoreDeployFolder "C:\inetpub\wwwroot\sc72rev140228\Website" -packagePath "\Examples\TestPackage.TDS.update" -connector "tds"
You probably already had some issues in ExperienceEditor with clickable elements, who are not clickable anymore because Sitecore override the click on this zone. In the following screenshot, we had the problem on a carrousel to click on the left and right arrows. The tip is very simple: just use ctrl+click in place of just clicking the element. You just need to store the prototype of the original Sitecore's function, redefine this prototype and call the original function. Recently I had to customize the Sitecore ExperienceEditor. It was a very tricky experience mainly because nothing is documented officially and almost nothing on the blogs. So I will write a series of post about this to help you in this task. I want to customize the ExperienceEditor but I don't want to touch to the base JS files of Sitecore to have as few side effect as possible and still be able to upgrade to the newer versions. To include my custom JS file the first thing I have try is add my JS into the Sitecore JS bundle \sitecore\shell\Applications\Page Modes\Ouput it seem that it is possible by overriding the method Sitecore.Web.UI.WebControls.WebEditRibbon.Render() but I didn't want to decompile the code and change the existing functionality. My workaround for it is adding a checkbox into the view section of the ribbon. When you add those kind of buttons, you are able to attach a JS to this checkbox. In the next post I will explain how to override the Sitecore functions in the JS. I use now Fortis to generate my C# classes Models who correspond to the Sitecore Templates. If you don't know Fortis you should read it first: http://fortis.ws/about/. It is really valuable to have this kind of strongly typed model in our projects because it improve the productivity and reduce the errors in the code. We had internal solution to generate those models before but the guys of Fortis have really done a great job on it. In "Target Project", specify the project where the class will be generated. In "code generation target file", specify the relative path in the target project where the class will be generated including the class name. Now you should have a folder named "Code Generation Templates" below your TDS project. Open this folder in windows explorer. // The Header Template is used to generate code that goes at the top of the generated code file. This template is executed only once. // it will typically generate #using statements or add other one time only elements to the generated file. //          generated code will reside. /// Gets or sets the base namespace as set in the TDS project. // passes to the template. TDS will join all created templates together to create a single file. // Version 4 of TDS only supports generating code for Sitecore Template items. //   Model: This parameter contains information about the Sitecore Item to be generated. 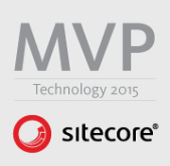 The Model will always be a type that inherits from SitecoreItem. /// Represents the SitecoreItem to be passed to the T4 template. Any object that is a SitecoreItem will inherit from this object. 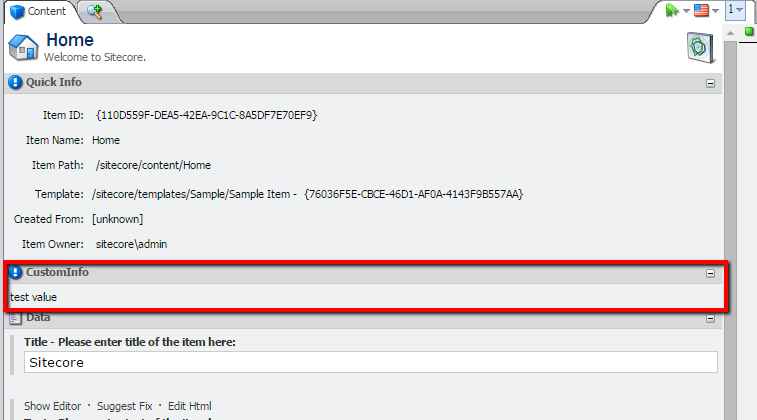 /// The Sitecore item ID. /// The name of the Sitecore item. This may be different than the Display Name. /// The path to the item from the Sitecore root. /// Any custom data associated with the item. This data can be set on the property page associated with the Sitecore item in the solution explorer. /// The Parent SitecoreItem in the Sitecore hierarchy. /// Additional sitecore fields. These fields are set on the Code Generation Property page. /// The key in the dictionary is the Field name, the value is the value of the field. /// The calculated Namespace for the item. 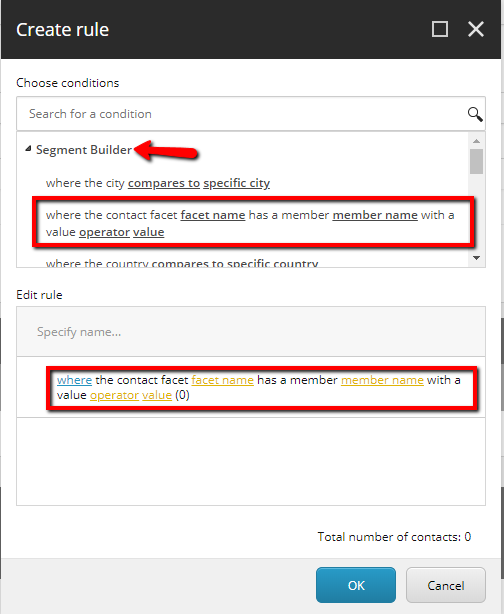 Each Sitecore item above the template is represented as part of the namespace. /// than the Sitecore template hierarchy. /// Represents Template specific information for code generation. /// The namespace broken out into individual segments. /// A list of all templates this template inherits from. /// A list of Sitecore Fields that make up this sitecore template. /// Represents Field specific information for code generation. /// The type of the field from the template editor. 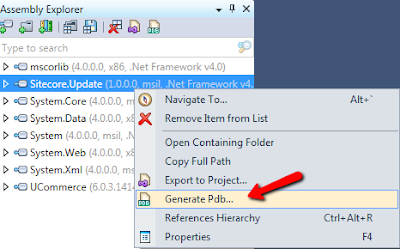 In Visual Studio, below the TDS project, right click on Code Generation Templates | Add | Existing Item... and select the two tt files. Now, return into the TDS project properties and set the Header Transorm file and the Base Transform File to the two tt files. If you need some rendering parameters you will see that they will not be detected as rendering parameters. To fix it you just have to include the template: \sitecore\templates\System\Layout\Rendering Parameters\Standard Rendering Parameters in TDS. Of course you can set the property "Code Generation Template" to none if you don't want to generate the class for this one but at least it will fix your issue. All the advanced dotnet developers has already been frustrated because we are not able to debug step by step in the third party dlls. Of course you have tools like ILSpy or reflector to see the decompiled code but sometime it isn't enough to understand what really happens. In "debugging", unckeck the box "Enable just my code"
Drag'n drop the assembly into the "Assembly Explorer"
Right click on the assembly and click on "generate pdb"
In the field "Destination folder", past the value of the "Cache symbols in the directory" from the previous step and click on generate. If you stop now you should be able to attach to your process, step into the decompiled dll. But you will be not able to see the values of the variables. Now you should be able to add the watch on the variables. The SCLA (Sitecore Log Analyser) you need to uncomment something in the web.config to activate the Azure possibility. But again when you will have big logs it will be not usable anymore. Visual Studio. If you go to the server explorer, then on Azure, then Storage, Tables, and click on the WADLogsTable. As a limitation you will not be able to retrieve more than 10000 records. This LinqPad with the Azure Table Storage Driver. I will explain this possibility more in details below. 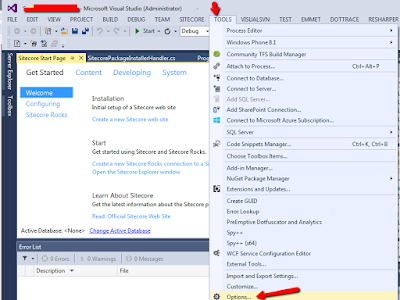 If you want more details the following article explain it in details: http://gauravmantri.com/2012/02/17/effective-way-of-fetching-diagnostics-data-from-windows-azure-diagnostics-table-hint-use-partitionkey/ By using this trick you are able to build and execute a query on the PartitionKey by using Visual Studio but, as I said, you are limited to 10000 records max. Click on "View more drivers..."
The first version has been developed by MIKAEL HÖGBERG is available here. Here is his blog post about it: http://mikael.com/2013/08/image-optimizer-module/ A very big thank you for this module! This version 2 is now based on jpegtran and pngquant to compress the pictures but you can use your favorite tool if you prefer. The biggest addition of this module is a wizard similar to the publishing wizard which allow you to compress a complete folder in place of compressing picture per picture. Download pngquant here: http://pngquant.org/ under the section "Command Line" / "Binary for windows" and save this file in the root of your data folder. Download jpegtran here: http://jpegclub.org/jpegtran.exe and save this file in the root of your data folder. Vangansewinkel Benjamin. Awesome Inc. theme. Powered by Blogger.